In the real estate business, successful communication and planning are the key to a good relationship and repeat business in the future. Regular communication with a client can build trust and confidence among buyers and while agents who are not good communicators may end up with dissatisfied clients. Since repeat business is welcome to boost earnings, a realtor wants to know how to keep clients happy. In addition to learning how to deal effectively with clients, real estate continuing education is necessary to be relicensed by the Board of Realtors, and planning ahead is a good idea. During your first meeting with a potential client, you have the opportunity to get to know his or her personality. By being observant, you can learn a lot. While some people are direct communicators, others may be emotional, talkative or analytical. Your conversations with a direct communicator can be straightforward. Emotional people are those you more or less have to read since the correct property has to strike a chord with which they feel a certain connection. Analytical types want statistics and facts, such as the distance of a commuter route, nearby schools and activities. Direct types want facts and figures and may base their decision on need, practicality or ability to build equity. By knowing what it most important to them, you can direct them to properties that might prove of interest. While some buyers and sellers are not new at it and are familiar with what happens when an individual buys or sells a property, others may be completely innocent about the process, the added costs and other factors that go into a house sale or purchase. Explaining how this process works in your area so that you are sure the client understands helps to avoid frustration later and an angry client. Happy homebuyers can become repeat clients. Tell your seller what happens when the house goes up for sale while searching for a new home, such as placing the home in the MLS, putting up signs and perhaps putting on a lockbox if the house is empty. Explain what is involved when a bid is submitted and how the sale proceeds from there. Explain what disclosures are, escrow accounts, the paperwork that has to be filled out, what is expected at closing and the different fees paid by buyer and seller, including the realtor fee. If certain inspections are required, such as for radon or termites, don’t forget to mention them, or they could come as an ugly surprise. Never assume that clients know the ins and outs of buying a property. This is a pet peeve of those who are both selling and buying a home. While buyers are more likely to be proactive in finding a property they like, they should be kept in regular communication with you. One good idea is to ask how often they would prefer for you to communicate with them, even if nothing is going on at the time. In addition, if you are showing properties, ask the buying client for feedback on why he or she is not interested. This helps to narrow the range of properties for buyers. Most people have a preference in whether they remain in communication via phone or email. While younger persons may prefer text messages or email to communicate, older clients may prefer communicating by phone. For those who prefer a phone conversation, it can be a good idea to follow up with an email to ensure that there is a record. Just as learning to communicate as a realtor is important, so is keeping up with your continuing education so you aren’t rushed. PDH Academy offers continuing education courses in real estate online or correspondence where you can study at your own pace in the comfort of your home. We also have discounts for groups, are approved for multiple states and send you a completion certificate when you pass the exam. Contact us for more information or to get started. This is the basic course that builds a solid foundation for new realtors, especially for those just establishing the basic skills necessary to build a solid reputation in the industry. Students learn about basic skills, including time management while working in real estate. In this course, you will learn to evaluate a property for its value as well as how to list property effectively. 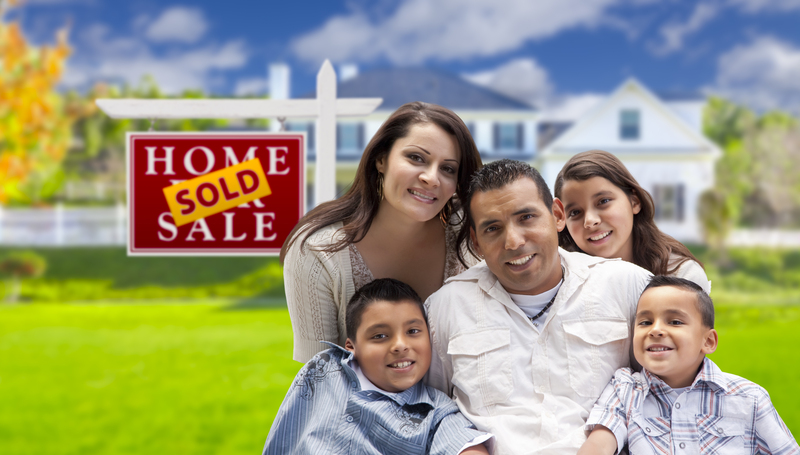 You will also learn the best methods for selling properties and closing a sale efficiently. In this class, students also learn about the escrow process as well as how to best inform buyers about real estate taxes. Learning real estate principles is the first step to getting that first contract signed. One of the biggest ethical issues in the world of real estate is discrimination, which is unlawful. The Fair Housing Act prohibits sales discrimination based on protected class status regarding issues like gender, religion, age, race, ethnicity, nationality, gender identity, marital status, veteran status, and sexual orientation. Classes will cover best practices for avoiding unethical actions. While some parts of real estate school focus on the principles of real estate, other aspects consider the implementation of these ideas. Learning how to put ideas into action includes building a better understanding of pricing methods, as well as how to actually find and reach out to potential buyers. You’ll learn what to tell clients as well as how to counsel them as you build a foundation of knowledge for your career. Attending real estate school online provides a big advantage. As you likely know, there are plenty of myths commonly associated with real estate. Your real estate school courses will dispel myths as well as educate you about contract clauses and your obligations as the realtor. Additionally, you will learn about disclosure policies, which vary from state to state. One of the key factors involved in becoming a successful real estate agent is to avoid illegal maneuvers. Each state has different real estate practices and obligations for sellers. This is why it is essential that you take a course specific to the state you are going to be practicing in. Are you ready to start your career? Contact us today for more information about beginning real estate school. Each state has its own requirements for real estate agents. Real estate continuing education is a requirement in states like Oregon, for instance. There, you need to achieve 30 hours of continuing education every two years in order to renew your license. Otherwise, you could be fined or have your license suspended. It is important that you look into your state’s requirements to ensure you are keeping up with educational benchmarks. Many real estate agents do not realize that there is no need to attend seminars and lectures to achieve their hours of study. The reality is much simpler, especially with online and correspondence courses so widely available. Real estate professionals can study on the go with a laptop, smartphone, or tablet. For the less tech-inclined, correspondence courses also offer study through booklets. This means that working professionals do not need to miss out on precious working hours or time with the family. Online real estate courses are convenient, allowing you to study anywhere. The best way to stay up to date with changes in your industry is through real estate continuing education. Courses specialize in topics like ethical dilemmas and taxes. Ultimately, real estate agents benefit from studying fair housing laws, risk management, and the financial aspects of buying a home, all resulting in becoming a better agent. What does the future of real estate have in store? More real estate agents are pursuing avenues related to sustainable housing and eco-friendly options. Those who do not keep up with trending topics in real estate will have a hard time broadening prospects. Additionally, it is imperative for real estate professionals to keep up with legal issues, including those that involve disclosure. For instance, states like California require that real estate agents inform buyers of deaths that occurred in the house in the last three years. Laws change frequently, so continuous education ensures agents don’t find themselves in a legal pickle. Continuing education can broaden real estate horizons. Boosting credibility is a great marketing tactic that no real estate professional should overlook. Not only can agents display real estate continuing education on their websites, but they can also boast newfound knowledge in specific areas, whether it be green living or auction-style sales. When buyers are looking for a real estate agent to trust, those with credibility and the evidence to back it up will be the most compelling choices. Are you interested in continuing your real estate education? Contact us for more information about taking online and correspondence courses. State-specific courses are available. Wouldn’t it be nice to have a career where you are able to set your own hours? Real estate agents do operate as their own bosses, which can be great for your schedule but tough on your paycheck. You are the one making the decisions, but without self-discipline and a positive attitude, you could find yourself flailing. There are no set hours, which means you could be working less or more than somebody who works 9 to 5. The average is about 40 hours per week. You could be helping a client during a time when you would rather be having dinner with the family. Becoming licensed to sell real estate takes just a few months, or even a few weeks depending on your state. Still, realtors must invest time and money into studying in the hopes of passing the real estate licensing exam, which differs from state to state. Working and studying at home have their advantages. As independent contractors, real estate agents must learn about market trends and business practices. Compiling lead lists and networking take precedence, but agents also need to set aside time for marketing and managing the office. As a real estate agent, you will not be limited to an hourly rate or an annual salary. The amount of time you invest in your work will correlate to the amount of money you receive. The potential for growth is excellent. Still, it is important to remember that cash-flow may take a while to start out, with the median salary being nearly $41,000. Some real estate agents don’t get to cash a check for months after they begin showing houses. This means that every future realtor should plan ahead. As a real estate agent, it is your goal to help each client find the perfect property at the right price. Clients are excited to purchase a home, but they are also nervous to fork out the cash. It takes true confidence to help move you through a difficult time. You can be the one who shows a family its future. Word of mouth does spread, both positively and negatively.A happy client spreads the word to friends, family, co-workers, and the Internet. So does an unhappy one. Treating clients wisely can make or break a realtor’s business. If you are passionate about real estate, by all means, pursue it. There are certainly plenty of perks to this career path, as difficult as it may be. Self-motivated people find real estate quite rewarding, and part of that discipline comes from taking the time to learn about the industry. Contact us for more information about getting certified to sell homes in your state.